We are deeply saddened by the recent passing of filmmaker Simon Fitzmaurice after a long faught battle with motor neuron disease. 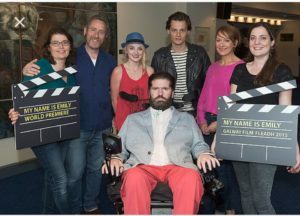 In 2015, despite his illness Simon wrote and directed his first feature-length film, ‘My Name is Emily’, which starred Evanna Lynch, Martin McCann, Cathy Belton and Michael Smiley. The film also received multiple IFTA nominations. Sincere condolences to Simon’s family and friends from all of us at Stunt Guild Ireland.